Shomik is the Founder and Managing Director of Inline, where he specialises in the Peer to Peer and Fintech sectors. He has extensive prior experience within major financial institutions, more recently as a Vice-President in Government Relations for JPMorgan, where he represented the company before key policymakers in the EU; and previously as a Product Specialist in European Small and Mid-Cap Equities at Blackrock. 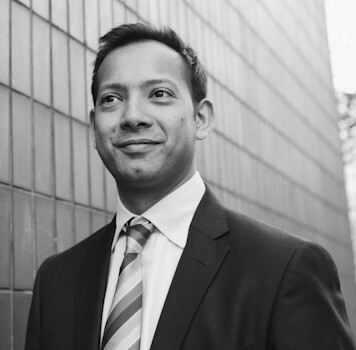 After completing his MBA, Shomik travelled to Myanmar to set up a support services company, before returning to the UK as Head of Policy at Aleron Partners. As well as a passion for politics and innovation, he loves all things sporting. He’s a keen supporter of Walsall FC; he has run the Edinburgh Marathon and also cycled across the Scottish Highlands. Shomik has a BSc in Economic History from LSE; a Masters degree in Political Science from Columbia University; and a MBA from INSEAD.